As Project Director, David oversees the planning, design, construction, and compliance of all Adpen projects from conception through to completion. 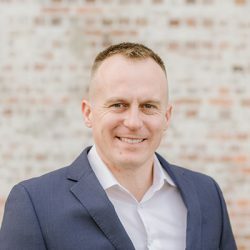 David has spent his career as a Civil Engineer and Project Manager tackling challenges on large and complex civil and mining projects throughout QLD and NSW. Having worked on projects with a total value of over $9 billion, David has gained valuable knowledge in how to successfully manage and run large construction teams in high intensity, remote, and challenging work environments. Complimenting his existing Bachelors in Civil Engineering and Business, David has recently completed a Diploma of Building and Construction (Building), adding to the extensive knowledge and experience he brings to Adpen to help make each development project an incredible success. Outside of work David lives up to his last name and enjoys camping, boating, and fishing on any of Queensland’s 4WD beaches. He also enjoys fitness, craft beers, motorbikes, and checking out real estate in his spare time.